It’s almost 11pm and I’m tired from being at work all day so let’s make this quick. Shall we? 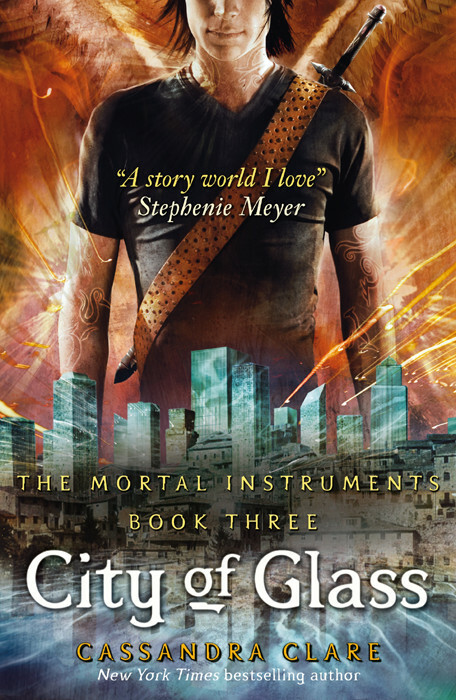 Right now I’m all about finishing City of Glass. I’ve been in this world for the past three weeks and, as I predicted before I started #shadowhuntersreadalong, I’m ready for a change. Thankfully, COG isn’t following the same path as City of Ashes and is actually pretty entertaining so far. I’m currently listening to the audiobook and if all goes as planned, I should be finished by tomorrow. I’m tossing around some thoughts in my head on a series review for the first three books since they were originally a trilogy before being expanded upon later on. If I do decide on writing it up, it should be posted early next week (either Monday or Tuesday). And that’s it! It’s time for me to take a shower, crawl into bed and pass out for the next seven hours or so.